Although Limitless hasn’t produced an authentic version of this Limitless-Styled Mechanical Mod Kit, it’s a sweet looking setup that includes a cloned version of the Limitless RDTA with a matching 18650 mod / sleeve. The device is styled to look like the Limitless Plus RDTA, but the atomizer is a 1:1 clone of the standard Limitless RDTA with a 2-post, velocity-style build deck. It has 4ml of capacity, features a unique side filling system, adjustable airflow and innovative cotton reservoirs. 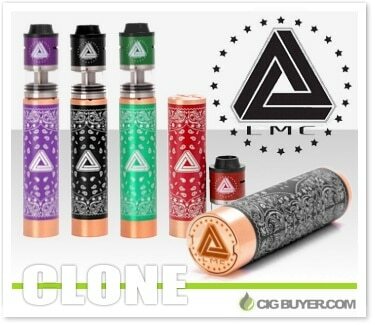 The mod is made from copper and SS and has a bottom spring-loaded firing button with replaceable sleeve.